Today we are creating a new label 'Fan Suggested Parts' at TBs , to tag a new series of posts. These are intended to highlight possible Technic parts that some fans have been suggesting and designing over the past few years. I'll start with a few drawings from barman. Probably one of the most prolific AFOLs, not only suggesting new Technic parts and respective use cases, but also investing time to design them in a very professional way. Later I'll intend to continue with other posts, more focused on groups of parts (also authored by some other fans) with similarities that would make them to fit into the same category or similar. All these AFOL designs can be found online, in the websites most used by LEGO fans to publish images from they own creations, either physical and virtual models, or imaginary parts like in this case. So lets take a sneak peak! 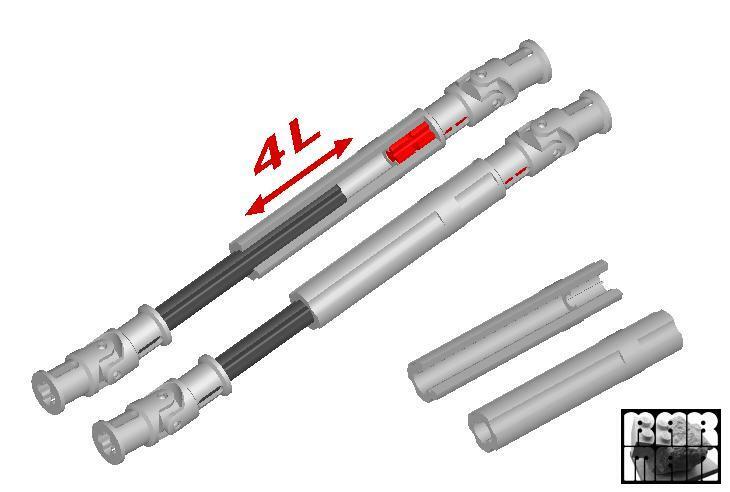 A really useful 4L extension sleeve, when there is a need for variable length shafts. This would be quite innovative in terms of LEGO Technic models, and would also open many new use cases. One studless gearbox, useful to hold one gear and worm gear combination, for instance. Despite its really compact design I'm nor sure however, if it should not have a 3L wide form factor case instead of the 2L shown. IMO it would be more favorable for a standard utilization and a better fit into the odd spacing from actual studless Technic system. For those extra length and loaded axles, or where a micro turntable may be needed! 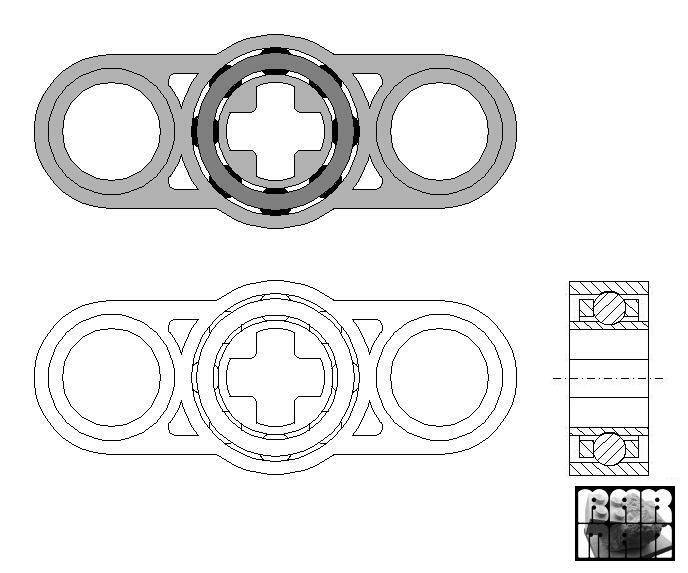 One ball bearing to reduce rotational friction and support radial and axial loads, might be of good use. And you? What do you think about these? Barman has lots of good parts ideas, and these are just a few of them. I can see all of them being useful, but I think I like the ball bearing the best. I can think of lots of places in which the limits of bearing forces on the existing axles are being approached. The 8043 excavator has many such examples. If we could reduce friction in the whole system (not just on car wheel axles), then less power would be required from the motors. Thank for posting my designs. This is a very good item to start up. There are many Afols that whant to share there ideas about new parts for TLC to make. 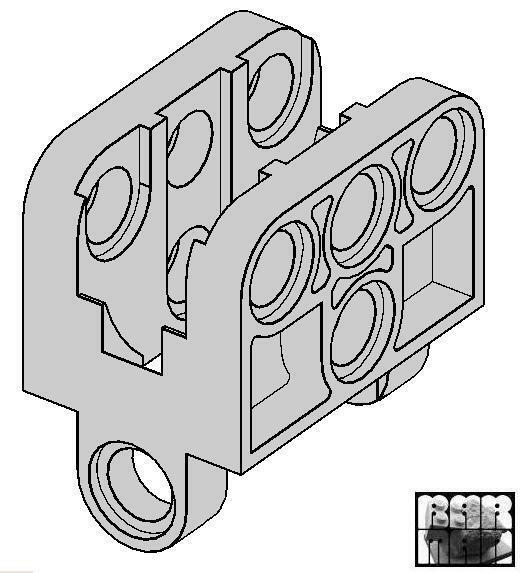 And this is the site to do that in the best way, when it comes to Technic parts. About the gearbox. I made it 2 width because you can fit a thin liftarm next to it, so it becomes a 3 studs width construction and can easily build in a model. An example would have been better, but my CAD program can't do difficult spirals to construct the worm gear. In the old gearbox you can only use a 24z gear, but with this one you can also use a 8z gear. About the Ball Baering. This is just an idea I had. I think it will not work, but it's always a nice way to share my ideas. In 2009 I joint the inside tour and got to talk with a former Technic designer. I showed him my portfolio and he gave me the best compliment "It looks like you've been working for TLC for more than 3 years, when you look at your designs". I was very happy with those words. I like the extension sleeve. A longer one would be very useful for building vehicles with telescopic booms where control of an implement at the end is needed (the telehandler from 2008 springs to mind). The last one would also come in very handy on large sets, and it can't be built with standard parts. As for the gearbox, useful though it might be, I kind of feel it would take part specialisation too far, you can already build such worm gear boxes with liftarms and such. It would be nice for smaller sets though. parts would be really useful. Barman has many great designs, my favorites being many, but out of these I really like the extention tube (spline shaft). The bearing would be cool but I think this particular design would have to be made of something stronger than plastic because of shallow grooves that the balls ride in and the thin walls. If this is to be the first of many similar topics I can't wait for the pneumatic ones. If Lego is listening, I very much support the manufacture of parts like those shown here. Thanks everyone for the nice reactions. I comment on this older post because there are some new news i what to share with you. I wish more parts, like your designs. Should write something later today about 8070 release and this new part.